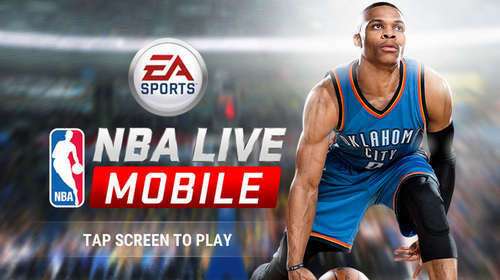 EA Sports just released its latest freemium NBA game "NBA LIVE Mobile" featuring the same gameplay mechanics and graphics of the previous entries but with a lot of inapps. The game features real NBA teams and players for a more realistic 3D gameplay experience on Android. You compete in daily challenges for rewards following the daily live events of NBA seasons. Play real basketball games or build your team and become the GM of your favourite NBA franchise. If you are a fan of the franchise then you should download and install the 64mb NBA LIVE Mobile APK (hack not available) from our site or from the Play Store, and play using your favorite players and teams. An internet connection is required, you can not play offline! As I've mentioned before, NBA LIVE is a full-featured free-to-play basketball game with 5 on 5 games, full league support, and complete team customization. But you'll need to pay real money via in-app purchase to unlock special abilities and similar items from the NBA shop. There probably won't be any mod for this game as it's played online, but who knows?! This is version 1.3.1 which introduces Gameplay Styles like Defensive Shooting lineups. Tnx to Droider for the apk.